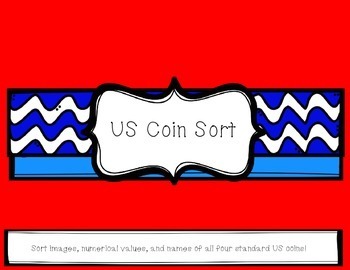 All four standard US coins! 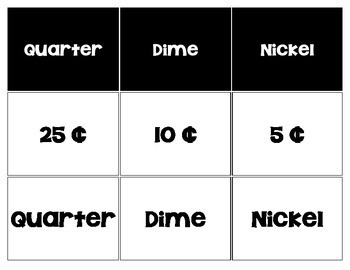 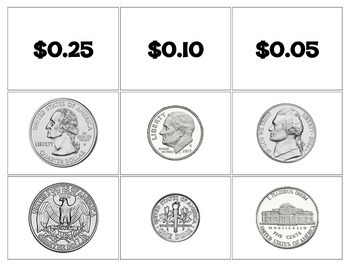 Sort images of the coins, front and back, numerical values with both the Cent symbol as well as the Dollar symbol, as well as the names of the coins. 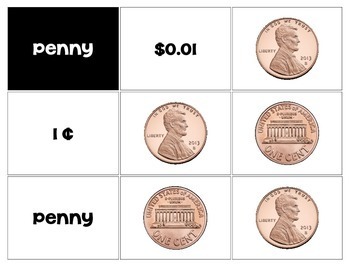 Print it out, laminate it, and get your students to work!